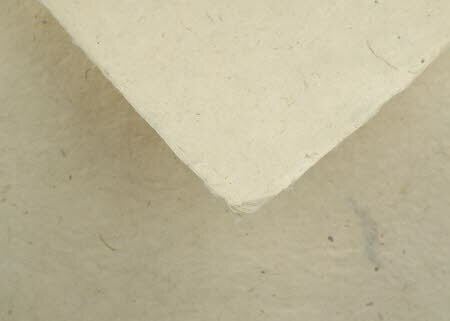 Darker than our standard-weight lokta artists paper, with a figured, textured finish, cream in colour. Thick Lokta paper is heavier in weight than our standard-weight lokta artists paper and the textured finish provides a more substantial surface on which to place your media. This medium to heavy-weight 30 inches by 20 inches - 100 gsm paper has a beautiful deckled edge (1 sheet).